Are you after a high-return option to add to your investment portfolio? Investment properties might be on your agenda, but do you know which option has the highest potential return on investment when it comes to property? If you’ve been asking yourself, “Should I invest in residential or commercial property?” we’re here to provide you with some tips. Commercial real estate may not be quite as straightforward an investment compared to residential real estate, but with enough knowledge and the right advisor, you could reap far greater rewards. What is a commercial property investment? There are many types of commercial property available, ranging from retail shops and offices to industrial buildings like factories and warehouses. Similar to a residential property, an investor purchases a commercial property and rents it to a business, making a profit from the rental income, while also potentially enjoying capital growth with the rising value of the property. Here are the top 4 ways you can make commercial property investment work for you, ensuring you have an investment that provides strong returns while growing in value. You probably know the residential property market – there’s a huge demand for housing in Australia right now. While this means residential property investment is low risk, it will give you a return of roughly only 4-5%. A commercial investment property may present slightly more risk but will yield a far higher return of about 7-8%. The risks of commercial property investment may include some periods where the premises is untenanted, but with careful budget planning and staying informed of trends and opportunities, you can make sure that the higher returns pay off for you in the longer term. Those acquainted with lazy residential tenants will know what it’s like to keep their property in top condition. With a commercial investment property, you won’t have this problem. Tenants are generally responsible for what is known as outgoings – like rates, charges that are related to the running and upkeep of the property, maintenance and insurance – saving you money in the short and long term. Because the property is the face of their business, commercial tenants will often go above and beyond to make improvements, increasing your property’s capital value. That means added value for you, but on the flip side you may still have to maintain and repair a few things, known in the investment world as capital items. These can be larger plant items like air conditioning, lifts, or warehouse fittings which may require occasional up-keep. When you rent out a residential property, you generally get tenants to sign a 6 to 12 month lease. 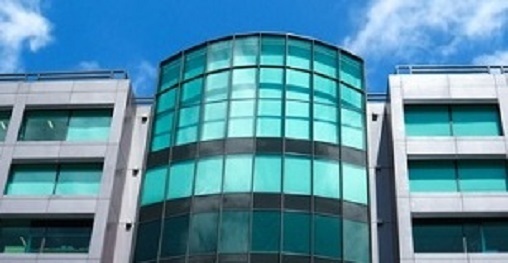 With commercial investment properties, the term is often over 5 years, with options to renew. When offering a long-term lease, it’s paramount that you secure a good quality long-term tenant. Why? Having a better quality tenant means that they will likely stay longer, and will invest in the property and will be reliable when it comes to paying the rent and outgoings. It will also help attract more interest when you plan to sell. Buyers have more confidence in a long-term investment, meaning you can greatly increase the value of your property. When renting your investment property, you have the choice of offering a Gross Lease or a Net Lease. What do these mean? A gross lease, or a gross rent, means that tenants only pay the rent plus GST (if applicable) and utilities. All the outgoings are included in the rent. A net lease, or net rent, means the tenant will pay for the rent plus GST (if applicable) and ALL outgoings (in accordance with relevant legislation). Your choice depends upon market demand. With a smart advisor, you’ll be able to make the right choice according to the market, the type of property and duration of lease. If you’re after a high-return investment, a commercial property is a great addition to your portfolio. You will need to budget ahead for capital repairs, understand the market, and secure the right tenants…but with these matters covered, you’ll be able to enjoy all the benefits that commercial real estate property investment has to offer. With interest rates at a record low in Australia, and lower than usual vacancy rates, the commercial property market is looking to be a prosperous option for 2015-2016! 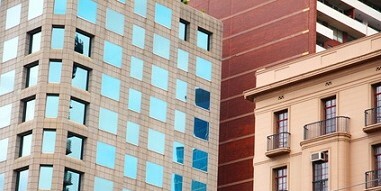 Looking to expand your commercial property investment portfolio? For a free, no obligation consultation with our expert property consultants, call HKC Property Consultants now on 04 3128 9440.